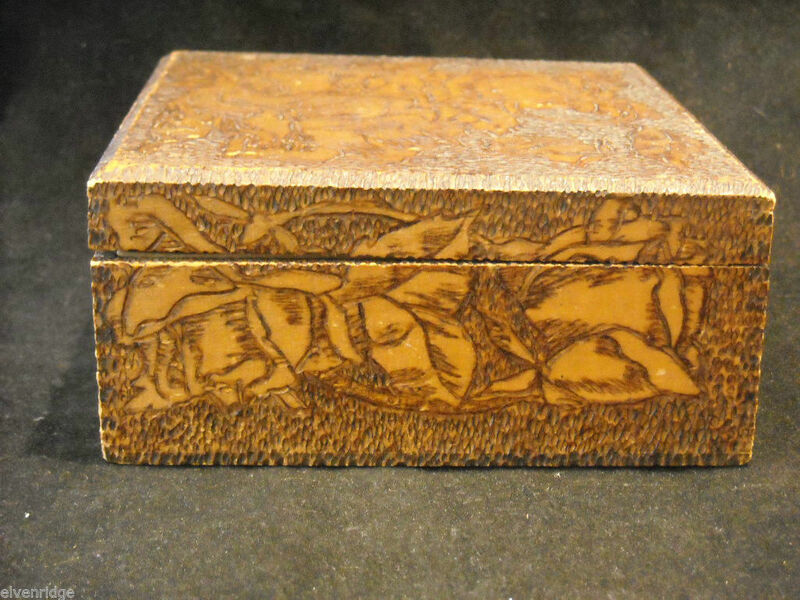 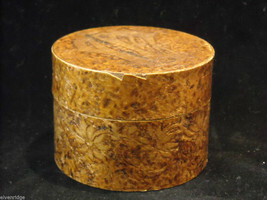 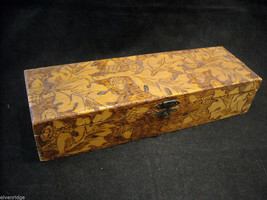 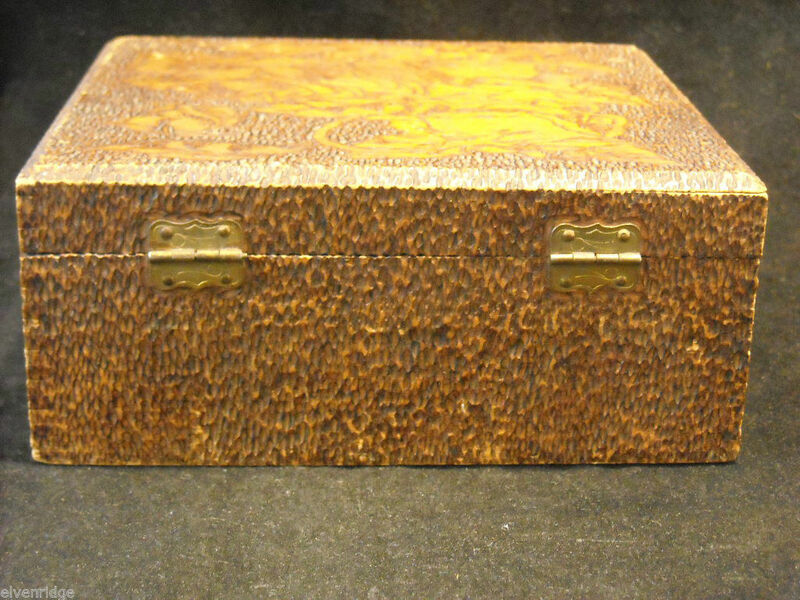 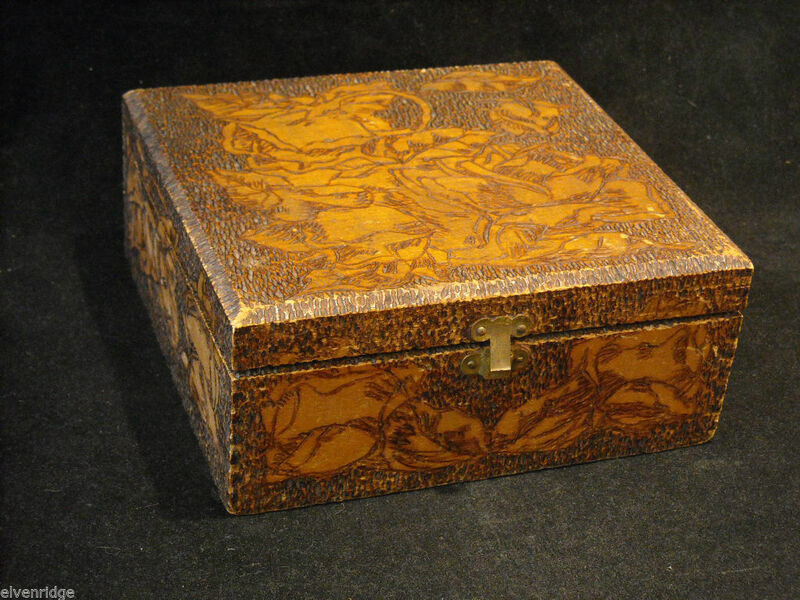 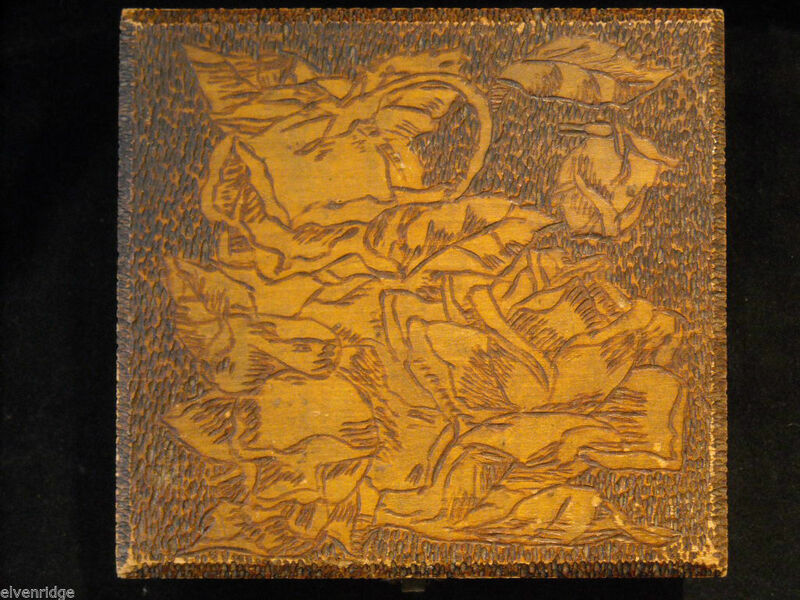 Vintage hand decorated wood box with wood burning design. 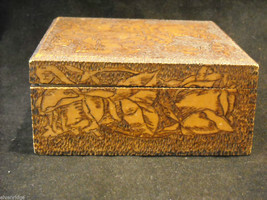 The design is flowers on the top and sides of the box. 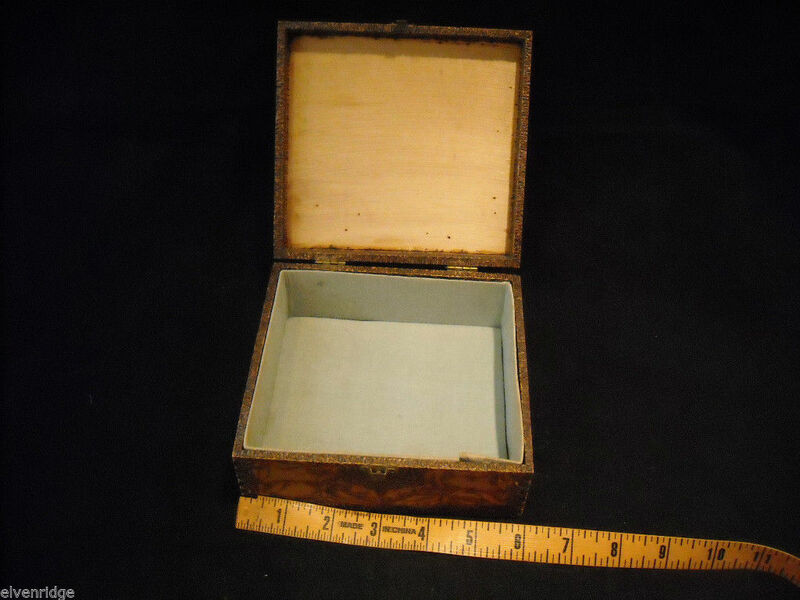 The box measures 2 1/2" x 5 1/2" x 6". 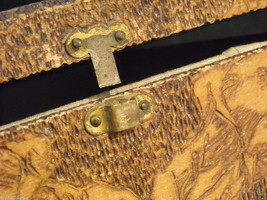 The lid has a latch closure and is hinged at the back. 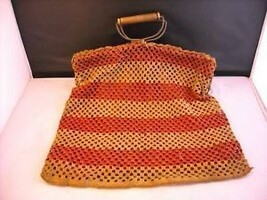 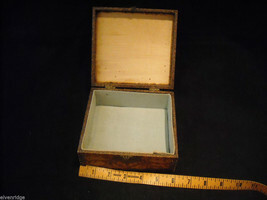 Inside the box, the bottom is lined with a light blue fabric. 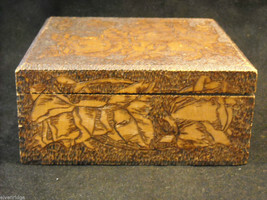 The box is signed on the bottom. 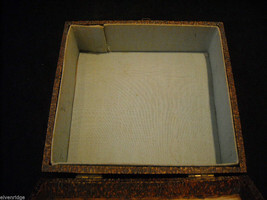 The fabric lining has some dirt and is fading. 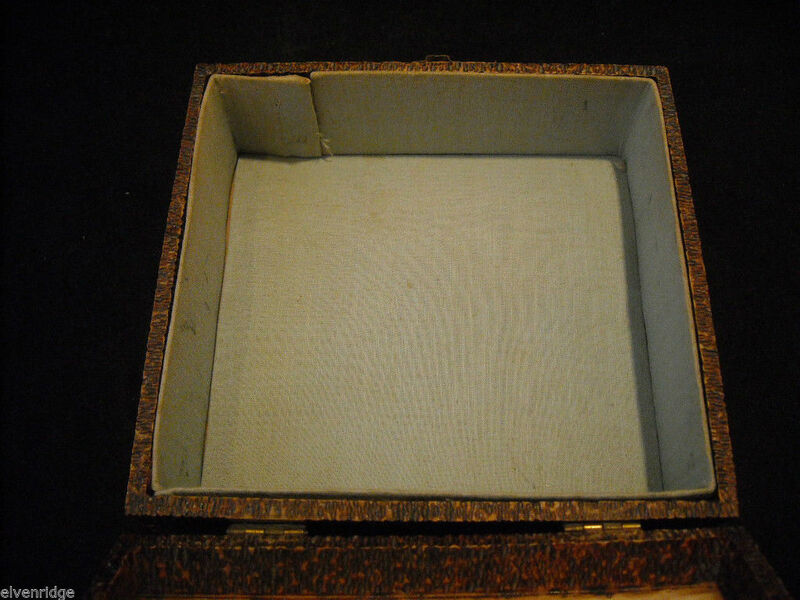 The bottom of the box has some pencil scribble on it.